On our flight back to Vancouver, we had a long layover in London and decided to take the train from Heathrow and stretch our legs by having a walk around central London. 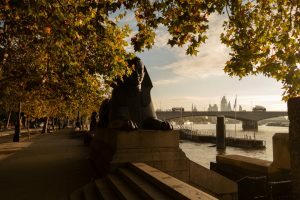 It was a beautiful crisp fall morning and we walked along the north embankment starting near Charing Cross along the Thames and then over Blackfriars bridge and along the south embankment back to Westminster. We then went through St. James Park to Buckingham Palace and back along the Mall to Trafalgar Square and then into the theatre district around Leicester Square, then Piccadilly Circus and along Oxford Street before heading back to the airport. It was surprisingly quiet and uncongested (Sunday morning) which made all the walking easy – London is such a great city with something interesting on every city corner. A few photos of our stroll can be seen by clicking this link or the embedded photo. 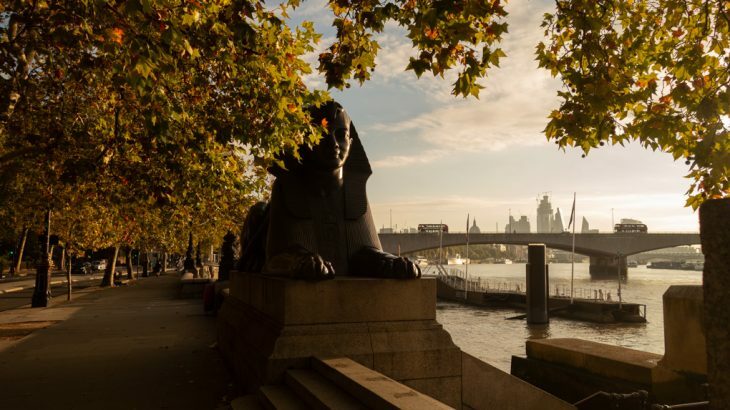 England, Photography, Travel London. permalink.